Lumia: Thomas Wilfred and the Origins of Time-Based Media in Modern Art, Keely Orgeman will focus on the work of the Danish-American artist Thomas Wilfred, who built an international reputation in the first half of the twentieth century as the pioneer of a new art form, which he called Lumia. Wilfred invented sophisticated analog “instruments” that produce brilliantly colored displays, realizing a fusion of modernist abstraction and pre-digital technology. My talk considers at the formal and conceptual affinities between lumia and the wide-ranging work of Wilfred’s contemporaries, from other early kinetic-light objects, such as Stanton Macdonald-Wright’s Synchrome Kineidoscope and László Moholy-Nagy’s Light Prop for an Electric Stage, to experimental films, Abstract Expressionist paintings, Light and Space environments, to psychedelic light shows. Keely Orgeman is the Alice and Allan Kaplan Associate Curator in the Department of American Paintings and Sculpture at the Yale University Art Gallery. She received her Ph.D. from Boston University in 2014, writing her dissertation on representations of radioactivity in American art. At BU, she received the Presidential Fellowship, as well as the Jan and Warren Adelson Fellowship in American Art, organized the exhibition Atomic Afterimage: Cold War Imagery in Contemporary Art (2008) at the Boston University Art Gallery, and authored its accompanying catalogue. Since coming to Yale in fall 2008, she has served in several curatorial roles in the American Paintings and Sculpture Department and has contributed entries and essays to museum publications, including collection catalogues and the Yale University Art Gallery Bulletin. 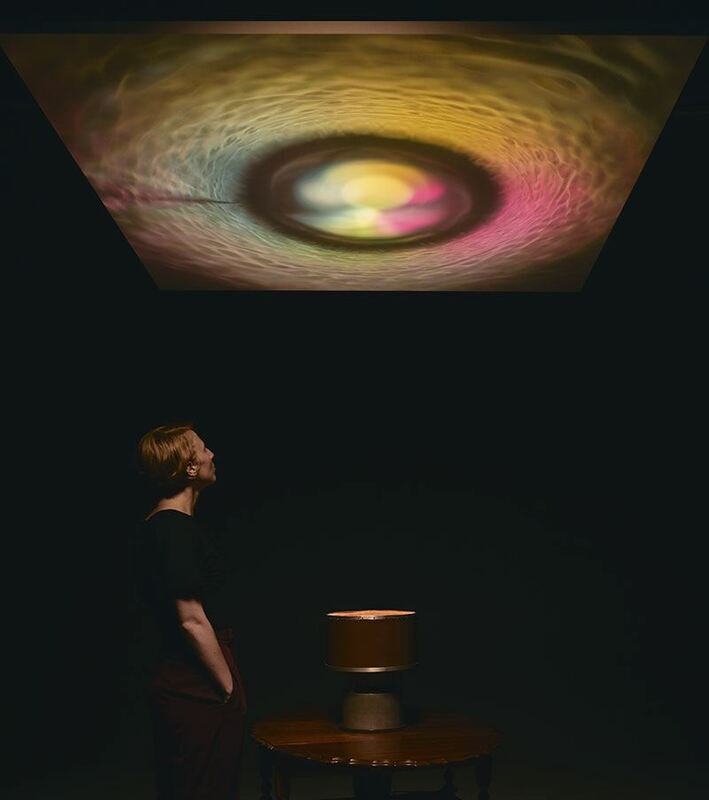 In 2017, she organized the traveling exhibition Lumia: Thomas Wilfred and the Art of Light for the Yale Art Gallery and the Smithsonian American Art Museum, in Washington, D.C., which was accompanied by a scholarly catalogue. Currently, she is embarking on a new project that centers on a historical portrait miniature. The Clyde Burroughs lecture series is generously supported by Frances & Nick Pavlovics. Image: Thomas Wilfred, Unit #50, Elliptical Prelude and Chalice, from the First Table Model Clavilux (Luminar) Series, 1928. Metal, fabric, glass, and electrical and lighting elements on a maple table. Yale University Art Gallery, Gift of Thomas C. Wilfred.